The NuCanoe Trailer is designed for easy loading, unloading, and handling. It is perfect for a quick run to the local lake or a cross country drive to unchartered waters. 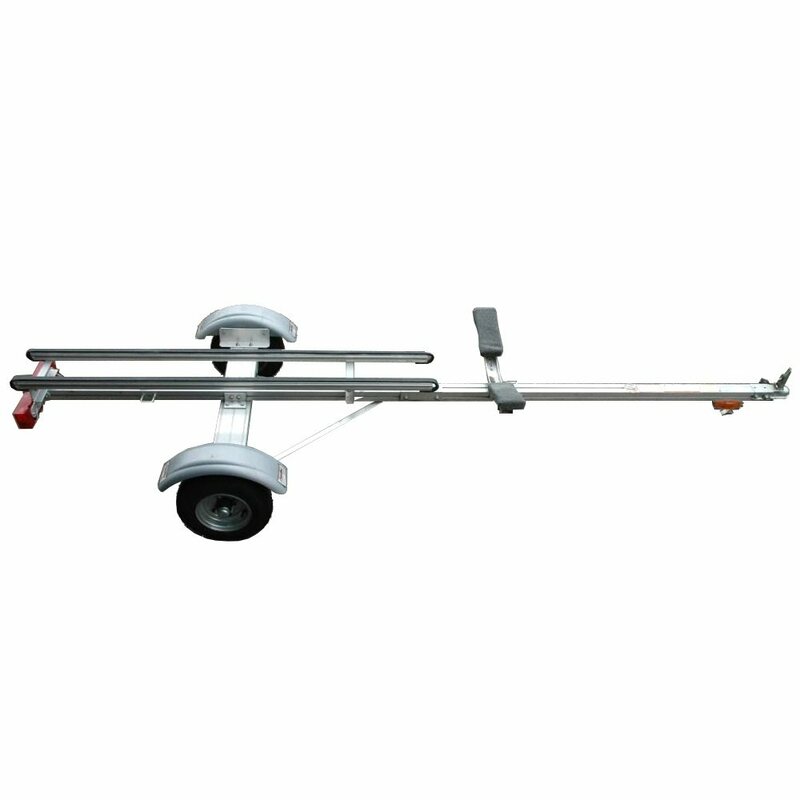 The trailer includes D-rings for tiedown straps, a license plate holder, and handles for easy “dolley” use. The trailer is rated for 200lbs, so feel free to load 2 NuCanoe boats for even more fun!